If I could have the option to move anywhere in the world, I have no doubt I would choose to move to Slovenia. Why? Well it’s one of the most beautiful places I’ve ever visited. The country itself is absolutely breath-taking with historic castles, the Julian Alps, and so many charming cities – each with their own unique style. 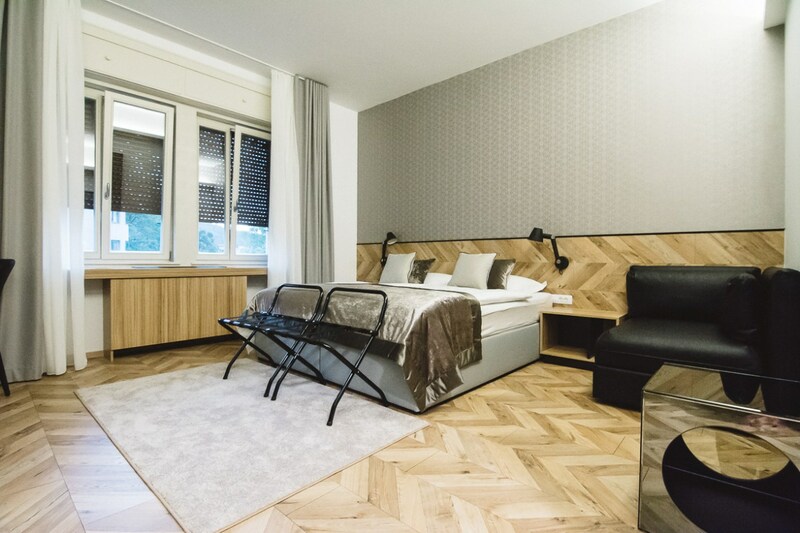 While I’ll share more about the country soon, today I want to share where I stayed during one of my stops on my road trip: the Urban Hotel in Ljubljana. If you’re not familiar with Ljubljana, it’s the capital of Slovenia and one of the most bustling cities in the country. 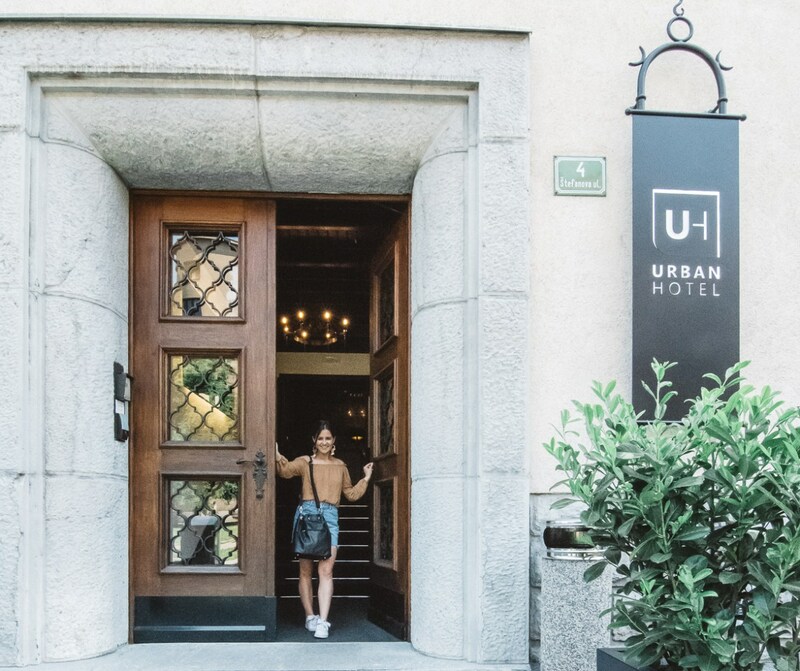 Situated just a few hundred meters from the city center, Urban Hotel is a hidden gem surrounded by shops, restaurants, bars, and an outdoor park. 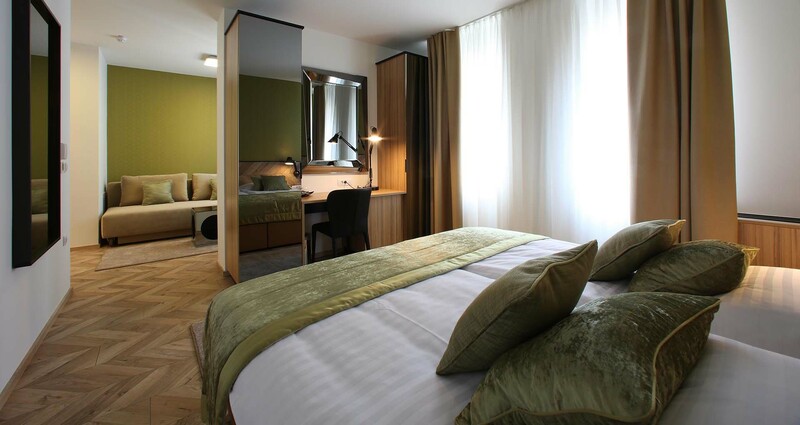 The contemporary design and jewel-tone color scheme of the hotel combines the “popular bourgeois style with modern facilities”. If you’ve never heard of Urban Hotel, that’s probably because it’s one of the city’s newest boutique hotels, and we were one of the first guests to stay there! The hotel is located in one of the city’s historic high-rises dating back to 1938, which has housed many distinguished individuals over the years. While Urban Hotel is new to the building, it was designed to maintain the beauty of the historic property with its elegant staircases and architectural charm. The hotel itself is quite small (compared to larger chain hotels in the city), but that’s what I loved most about it. The concierge was always available to help guide us through the city, offer recommendations, and confirm dinner reservations. Best of all, they greeted us by name every time we passed through the lobby – which is a small touch that really goes a long way! One of my favorite amenities of the hotel was the free cell phone they gave me upon arrival. While this may not seem like a necessary luxury in the states, the phone is equipped with GPS, recommended hot spots and information, as well as the ability to place calls. Since I relied solely on WiFi to use my phone on my trip, it was so nice to GPS to guide me through the city! Aside from the amenities and design, the location of the Urban Hotel can’t be beat. We were steps away from the famous Three Bridges and the old town and Plecnik Marketplace, as well as endless restaurants, bars, and shopping. Considering we had been driving all over Europe since we landed in Budapest, it was so nice to be able to walk everywhere in the city. 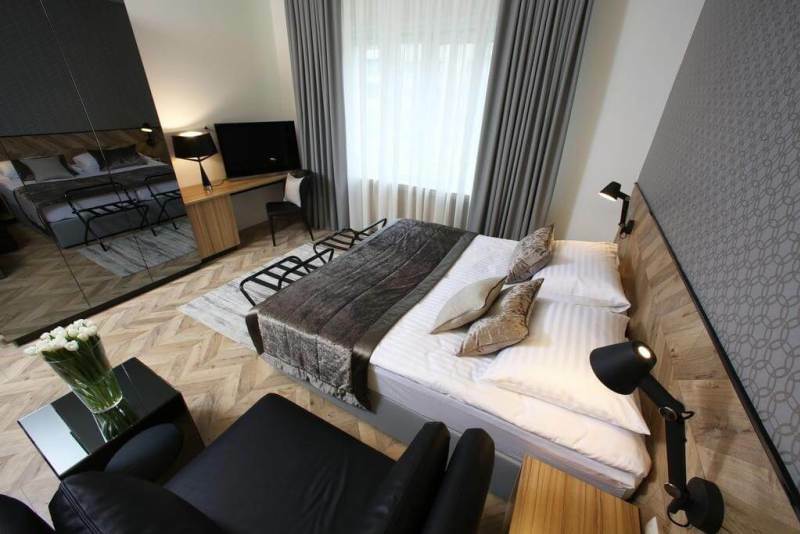 Next time you plan a trip to Ljubljana, I highly recommend checking out the Urban Hotel. Click here to learn more about the hotel! While this post was in partnership with Urban Hotel, the opinions expressed are my own.